In the digital age we live in, the power of connection is undeniable. Sure it can be used for either good or bad (just read the comments section underneath a post or video about a controversial topic on most popular social media platforms…), but there is also another category technology can be used for – innovation. 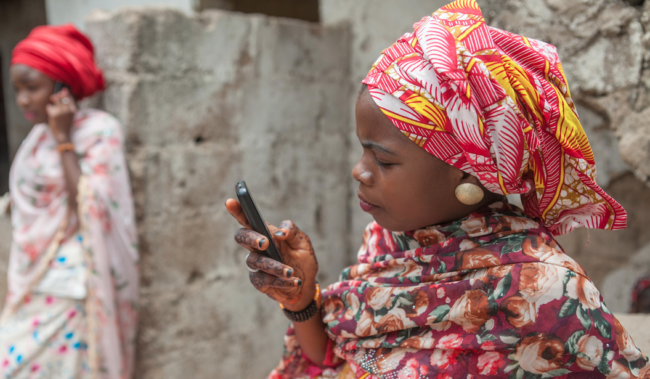 In the case of Girl Effect, the international nonprofit organization dedicated to ending poverty through empowering young women, they have found a unique way to empower girls through a mobile phone service model many of us would already be familiar with. 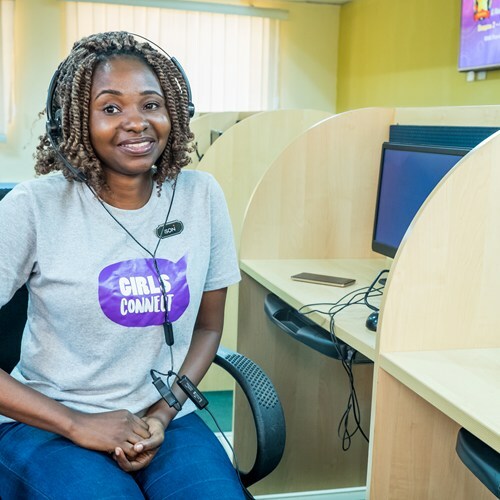 The program is called Girls Connect, and is essentially a call center where girls dial in, get to hear an automated message, and eventually get connected to a customer service representative. Unlike the procedure used for calling your local utility company, for example, callers get to choose from one of 4 optional fictional stories to listen to, then speak to a live person to ask questions and discuss issues that are happening in their own life. The program is being piloted in Nigeria, and so far it is having a remarkable impact. The iSON BPO International Call Center is based in Ibadan, Southern Nigeria, and is run by Indian entrepreneur Ramesh Awtaney. The idea for Girls Connect came about after a chance meeting with Farah Ramzan Golant, the London-based CEO of Girl Effect. 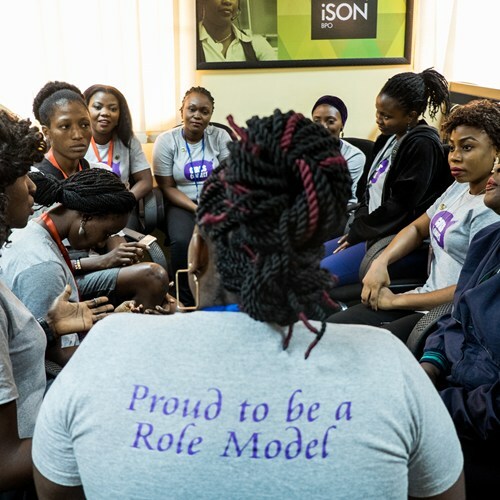 Since nearly half of iSON BPO’s 10,000 employees across Africa are women, Ramesh started to think of a way to use his business to empower and help young African women. “In the customer service industry we try and resolve your problem by putting you in touch with an automated machine. If the machine can’t help, you are connected to an agent. So the thinking was that we could replicate this process for girls in the context of giving them information on relationships, medical problems, education, and social media, etc,” he told TIME.com. Both he and Farah soon realized the massive potential to scale-up quickly and maximize their reach thanks to the power of digital technology and telecommunications. Girls can literally be based anywhere and have access to the empowering program through their mobile device. As described in the TIME feature, the fictional 3 minute stories are realistic enough for the girls when they dial in. For instance, one of the options is the story of a young woman named Lantana who was forced to drop out of school as a child and and work in the local markets, so that her family could afford to send her brother to school instead. She spends her days selling peanuts in a basket balanced on top of her head near a busy bus stop, where one day she is lured into a back alley by a predator who approaches her with the intent to buy her wares. Although this is a fictional account, many of the girls who call into the Girls Connect service can personally relate, or know someone who has been in a similar situation. After listening to the stories, they are then transferred to one of 13 representatives, who go by the title of Role Models, who can then ask them questions, learn more about their lives, and help them with any advice they may need about their own life situations. On average, each Role Model can get up to 250 calls per day, and in the first month of operation, the call center received 42,000 calls total. They were already employees of iSON BPO and told TIME that the volunteer work they are doing with Girls Connect is a huge departure, a more fulfilling one, than dealing with a potential crabby customer who can’t get their internet to work. “Growing up I faced a whole lot of challenges that I know these girls will be facing as well. [Girls just] want someone to listen to them, to talk to them, just to hear them out in whatever situation they find themselves in,” said Maureen Ijogo Onah, a Role Model. This program is tapping into a very unique space in the global empowerment market, and has the ability to reach girls where regular media and other advocacy programs cannot. They essentially replicate an in-person, one-one-one mentoring or counseling session, but impact hundreds, if not thousands, of girls at one time thanks to the telecommunication and digital aspect. “When you have a chance to be asked questions about, ‘well how did that story relate to your own life?’ there’s a chance that before it goes out the other ear, you’re going to have to stop and say, ‘actually what would I have done in Lantana’s situation?’ So you’re much more likely to retain those key messages or skills rather than them being passively consumed and then forgotten,” said Natalie Au, the global gender director for Girl Effect. 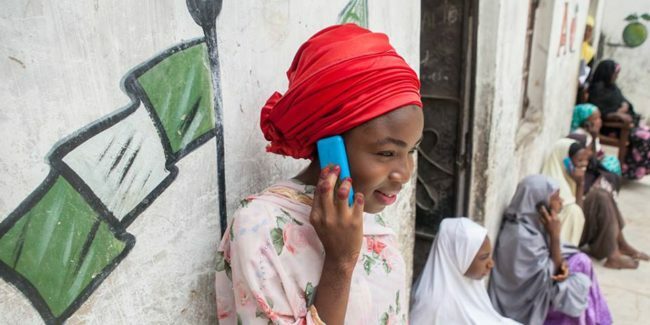 One of the Girls Connect customers, 14 year-old Amina, who is a street hawker and has called the number multiple times to listen to the stories, says she feels it is a service that understands her life and she is comfortable talking about her problems. “There are many girls that are hawking who have listened to this program, and they come to understand that even if something like this happens to them, they can go and tell their parents, as Lantana did, so that they can take action,” she said. The Role Models help girls deal with cyber stalkers, giving them tips on how to block predators on their phone via certain apps, and also talk to them about other issues such as depression, pregnancy, abuse and more, connecting them with the right agency if they require further help. For young girls growing up in Nigeria, there are a number of barriers for them to navigate, whether it be lack of access to education, poverty which can lead to early marriage and pregnancy, as well as bigger problems like extremist groups such as Boko Haram which target vulnerable girls and rob them of the choice to work, raise a family on their own terms and become empowered women. Role Models can fill the gap in a girl’s life in cases where she doesn’t feel comfortable opening up to her parents or friends about a problem. “When she has never been able to share with someone something that bothers her, and then suddenly she can speak freely with someone who understands what she is going through, it’s an amazing thing. 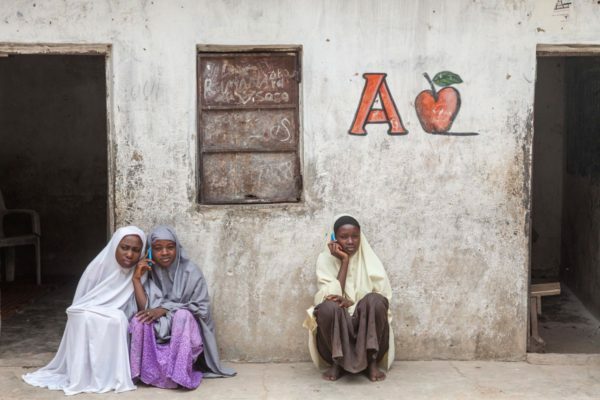 I see the girls changing before my eyes,” said Aisha Haliru who runs a weekly empowerment class for girls and who lends her students mobile phones so they can call Girls Connect. 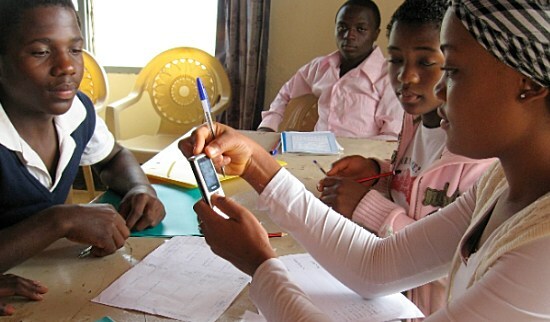 Arming girls with important information on sexual and reproductive health is also one of the ways Role Models can help Nigerian girls avoid falling into cycles of poverty, making Girls Connect more than just your average call-in service. “I truly, truly wish I had something like this while I was growing up. If I had had this kind of an opportunity to connect to a role model, I probably would have called her every day. And I probably would have made a lot less mistakes,” said Role Model Ibrahim. The program is looking to expand across Nigeria and eventually into other countries. Learn more about Girls Connect through the Girl Effect website.